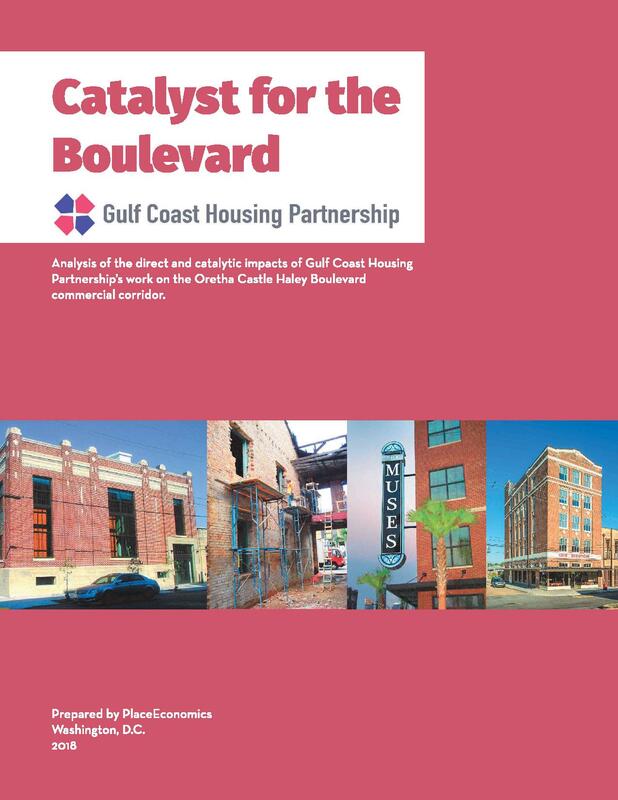 Analysis of the direct and indirect impacts of the Gulf Coast Housing Partnership’s work on the Oretha Castle Haley Boulevard commercial corridor in New Orleans, Louisiana. This study looked at over 10 years of data representing over $100 million of development into a 10 block stretch of Oretha Castle Haley Boulevard. While other organizations played important roles, the Gulf Coast Housing Partnership has been the most prolific catalyst for the transformation.